Enjoy another issue of NetEqualizer News! This month, we present a video demonstration detailing how active connections behave on a live network. The video utilizes a real-time reporting tool that you can leverage with your own NetEqualizer data! We also preview some new features coming this fall (IPv6 Visibility and ToS Priority), announce our FlyAway Contest winner, and discuss P2P blocking! As always, feel free to pass this along to others who might be interested in NetEqualizer News. We often get asked about active connections and how they are handled by the NetEqualizer. The answer to this question is fundamental to how equalizing and behavior-based bandwidth shaping works. In early August, we posted an article on our blog that discussed how you could generate real-time reports using Excel and your NetEqualizer data. The video linked to below references that project, and uses it to demonstrate how active connections behave in real-time on a live network. There are some interesting observations you can take away from this video, even if you don’t implement the reporting tool on your own device. You will come away from it with a better understanding of how users are connected through your network, and what types of connections are occurring every second. For every user, there are many connections occurring that most people are probably not aware of. The OS might be checking for updates, A/V could be checking for new signatures, an email program is reloading its inbox, etc. Most connections have a very short life, and they are also mostly very small. 90% of connections will only utilize 10 to 1000 bytes/second. Flows change dynamically. Even for a single user, 2 to 20 connections (or more) can exist at any moment in time. Contention can occur quickly. Because of the variability in connections (especially with a broad user base), network contention can occur quickly. If large downloads are part of the active connections, this contention happens even faster. The NetEqualizer instantly responds to this problem by taking a Robin Hood approach to the hogging connections. It shaves off bandwidth from the large connections and gives that much-needed resource to the thousands of other connections that require it. Dynamic Reporting With The NetEqualizer. Every few months, we have a drawing to give away two roundtrip domestic airline tickets from Frontier Airlines to one lucky person who’s recently tried out our online NetEqualizer demo. And the winner is…Mohammed O. Ibrahim of Zanzibar Connections. Congratulations, Mohammed! Please contact us within 30 days (by November 10th, 2011) at: email admin -or- 303-997-1300 to claim your prize. We are very excited about the new features coming in our Fall 2011 Software Update! As we await the need to handle significant amounts of IPv6 traffic, NetEqualizer is already implementing solutions to meet the shift head-on. The Fall 2011 Software Update will include features that will provide enhanced visibility to IPv6 traffic. This feature will help our customers that are experimenting with IPv6/IPv4 dual stacks, as they start to see IPv6 Internet traffic on their networks. We are now seeing an influx of customers looking to provide priority bandwidth to VoIP connections on their links without all the hassle of complex router rules. NetEqualizer’s new Type of Service (ToS) Priority feature is the solution. Included in the Fall 2011 Software Update, the ToS Priority feature will automatically prioritize connections that are utilizing services like VoIP – as well as a host of other types of important connections. This will provide improved quality of service (QoS) on your network. 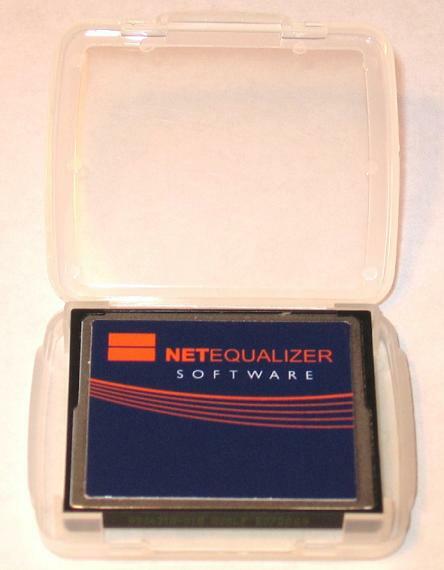 We will now be shipping with larger SSD drives to customers waiting to try our NetEqualizer Caching Option (NCO). For more information on the NetEqualizer or the upcoming release, visit our blog or contact us at: email sales -or- toll-free U.S.(800-918-2763), worldwide (303) 997-1300 x. 103. How Effective is P2P Blocking? This past week, a discussion about peer-to-peer (P2P) blocking tools came up in a user group that I follow. In the course of the discussion, different IT administrators chimed in, citing their favorite tools for blocking P2P traffic. At some point in the discussion, somebody posed the question, “How do you know your peer-to-peer tool is being effective?” For the next several hours the room went eerily silent. The reason why this question was so intriguing to me is that for years I collaborated with various developers on creating an open-source P2P blocking tool using layer 7 technology (the Application Layer of the OSI Model). During this time period, we released several iterations of our technology as freeware. Our testing and trials showed some successes, but we also learned how fragile the technology was and we were reluctant to push it out commercially. As of August 10th, 2011, our Compact Flash Cards are being shipped with a new label design and card case!